Conservative Leader Andrew Scheer says Prime Minister Justin Trudeau should not go after critics of the cancelled Energy East pipeline project, but should look to his own actions. Scheer spoke in Edmonton about Trudeau’s recent social media comments accusing those critics of using the project’s demise to stoke national divisions. Scheer said the issue does not stoke divisions because all of Canada would have benefited from the project. Last week, TransCanada said it was shelving the pipeline project because of a change Trudeau’s government made to the regulatory review. The court overseeing Sears Canada’s operations is expected to hear a motion Oct. 13 seeking approval for the liquidation and winding down of the business. 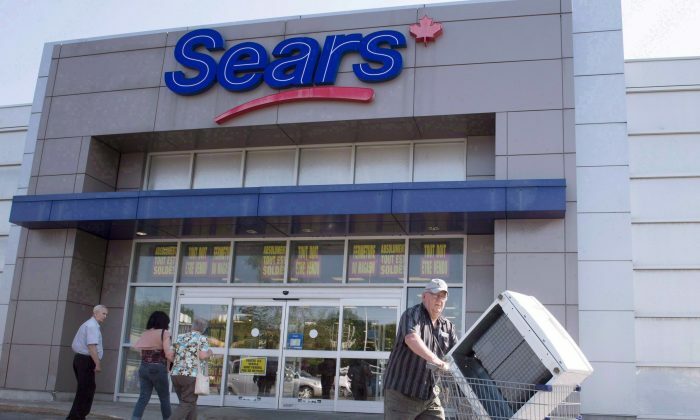 “The company deeply regrets this pending outcome and the resulting loss of jobs and store closures,” Sears Canada said in a statement. The International Monetary Fund warns in a new report about Canada’s high debt levels and higher-than-average pressure on Canadian households’ ability to pay down that debt. The IMF says in its Global Financial Stability report that these dynamics in Canada’s private non-financial sector leaves its economy more sensitive to tighter financial conditions and weaker economic activity. Canada was named along with Australia, Brazil, China, and Korea as countries where the debt-service ratio has risen to high levels. The IMF also says there was a particularly strong need in these economies for financial sector policy to guard against letting these imbalances grow any further.